​​Pataje Music has improved the quality of life for children in Haiti through earthquake relief work, music education, and performance. Music plays a critical role in Haiti. Music school programs have helped students to rise above poverty, build individual character, and create supportive communities. 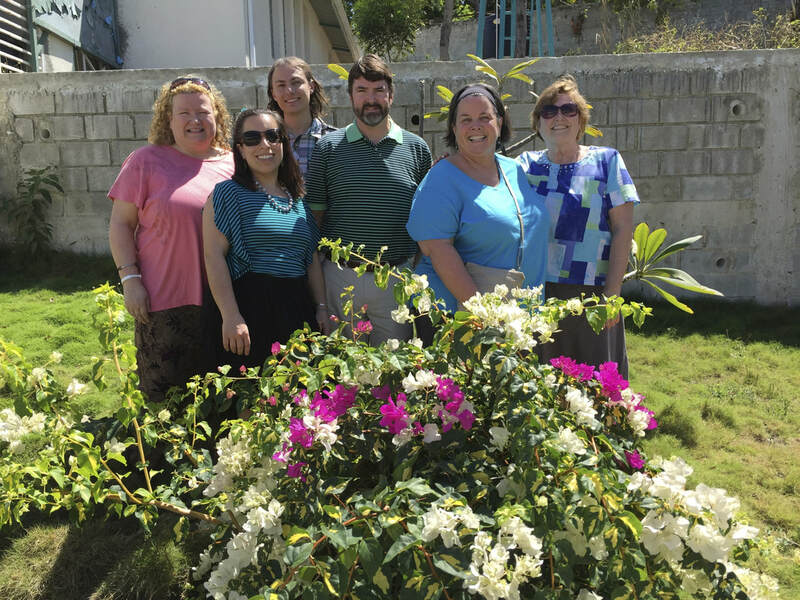 Since 2012, we have developed strong relationships with five Port-au-Prince schools through music and team-building activities, water filtration system installations, feeding programs, and rebuilding music programs via musical instrument donations. On our first trip to Haiti, we transported over $50,000 worth of donated string instruments to grow the music program at the Foyer Maurice Sixto School in Carrefour. We also realized that most of the schools have signs emphasizing hand washing to avoid cholera, but waterborne disease remains the top cause of death in children in Haiti. Over the next two years, we worked with Pure Water for the World to install water filtration systems at three schools. Each school has between 500 and 1000 students who are taught in the same open space at the same time. Chalkboards on wheels divide the space into "classrooms," each of which have different lessons being taught simultaneously. These classrooms can have up to 50 students in them at once with minimal supplies, which is challenging for the teachers. Many schools are understaffed, so teachers have to allocate at least one hour per day to feed the students lunch. It costs just $250 a day to feed all of these students, but some days are skipped due to minimal funding. ​As of February 2017, the value of donated musical instruments we have transported has exceeded $100,000, and close to 2,000 students have access to clean water, have been fed a hot meal, and have participated in educational activities that are normally inaccessible for them. One of those activities included learning a harmonized song by rote that was translated from English to Haitian Creole. We want to do more! ​Foyer Maurice Sixto School music students learn Theresa Jennigs' "Stewards of the Earth" by rote. Deb Di Nola assisted the sopranos, Amanda Simeone assisted the altos, Clark Bourne assisted the tenors and basses, and Derrick Landano directed the ensemble. The video was generously recorded by Lisa Cresta. (February 2016)"
Pataje Music's campaign to help our partner school in Haiti is off to a great start! So far, we have raised enough money to support all of the school's music teachers for two months! We would be extremely grateful if you could look at the fundraising page and share it on Facebook, Twitter, by email, or any other way you can think of. If you wish to purchase a ticket, please click on the sponsorship tab and click the donate button. ​In the notes to seller write Pataje Raffle. Help to alleviate medical expenses for new parents, Cazy and Yvenise, who are on the Love & Grace Ministries staff. Yvenise was diagnosed with the ZIKA virus and gestational diabetes during her pregnancy. Due to these high risks, Yvenise needed to be seen by a Haitian ob/gyn and deliver in a hospital. The delivery cost was $2,500, and the C-section was $3,500, which was unexpected for Cazy and Yvenise. Follow us on Facebook to see more trip photos & receive updates about how you might contribute to our work!